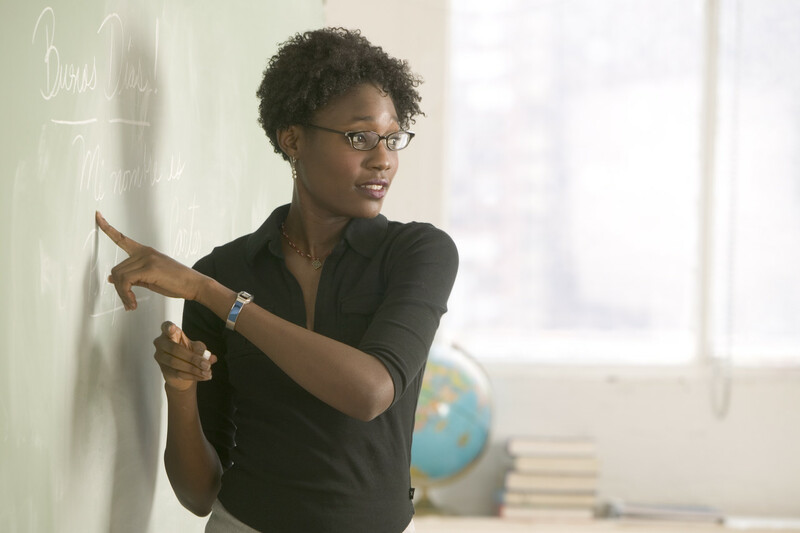 If race is a construct, gender is a construct, and teaching is a performative act, where and how do I exist in the classroom as a real black woman? I’m funny about people misspelling my last name. I think if it were, say, “Pryzbylewski” I wouldn’t get upset about it. That’s a hard name to spell, but “Matthew” is easy. Yet people add an “s” on the end all the time—telemarketers, doctors, Verizon, restaurant hostesses, and students. In the classroom, I can tell myself that I get persnickety about it because I’m teaching my students to pay attention to details, but I suspect I’m just funny about my name. And, when I’m at school, I’m funny about my title. Outside of work I rarely use it. In fact, when people ask me what I do for a living I just tell them I teach instead of saying I’m a university professor. But at school I assume that, like my male colleagues, students will refer to me as Dr. or Professor instead of Miss or Mrs. Depending on my mood or the time of the semester, I am either good-natured or sarcastic about this mistake. Early in the term I might say, “I may be large and contain multitudes but I am also singular, so please note there is no “s” at the end of my name,” or I try to keep it simple by saying “that’s Matthew two t’s no s.” When students (and when the mistake is made it’s almost always a male student making the mistake) call me Miss or Mrs., I’m neither good-natured nor sarcastic. That’s a mistake of a different kind. I try not to be too aggressive scary-feminist about the whole thing, but I’m quick to point out the error. Neither of these are high on my list of the problems of a tenured academic, but a recent comment on a student evaluation reminds of how being read as “black” by students has shaped my teaching, for better or ill. When I said, “everything about that is wrong,” I don’t think I sounded mad or mean, but I hadn’t yet put on my black lady professor persona for the first day of class, so I wasn’t focused on making students comfortable. Normally, I try to break the ice with some wry or witty comment. If it’s the start of a new school year I joke that I’m dressed in all black to mourn the passing of summer. It’s so important to set the right tone on the very first day of class, and being too direct with one student can put everyone on edge. I have to be approachable but not a pushover, cordial but not overly friendly, competent to be sure but not so confident as to come across as arrogant. That semester, I got lucky. The student seemed chagrined but otherwise fine (he went on to do well in the course), the rest of the class barely seemed to notice, and I didn’t give it a second thought until a different student teased me about it at the end of the school year, in an entirely different class. It was at the break during a long evening course. With the end of the term in sight and a group of exceptionally sharp students, we were all feeling a bit playful. Students don’t tease me very often, so I was tickled and amused by the exchange between a few young women of color as they made fun of me. They talked about their first impressions. Apparently, I don’t walk so much as stride into the classroom. I was compared to Holland Taylor’s character from Legally Blonde. And then a student recounted my “everything about that is wrong” moment from earlier in the year. I was surprised she remembered it at all and then stunned at her performance of it, of me: She repeated what I said while swiveling her neck and snapping her fingers. You know, how black women do on television and in movies. Follow The Creator; Brittany Vickers on Twitter!